You are smart. Heck, you are reading thedailymba.com, so we know you care about your career and your job performance and self-improvement. But right now, as you are reading this post, you are likely doing yourself considerable damage and don’t even know it. How is this, you ask? Are you squinting at the computer screen? Do you look up or down at your screen? Do your wrists sit on your desk or on a wrist “protector”? Are you elbows in front of your body because you are too far away from your keyboard? Are your shoulders tense or your head leaning forward? Is there pressure on your hamstrings from your chair? If you answered yes to any of these questions, you have poor work station ergonomics. With most of us spending 40+ hours a week at our work station, we’re putting our bodies under an incredible strain. As a result you’re repeatedly hurting your neck and back, which can be considered a repetitive motion injury. This is important because repetitive motion injuries are a meaningful contributor to musculoskeletal pain and musculoskeletal pain is the #2 reason for a doctor’s visit according to the National Center for Health Statistics (NCHS). In fact according to the NCHS, musculoskeletal pain is the most cited reason for missed work and the leading cause of disability in Americans under 45 years old. A recent study states that more than 25 million Americans experience frequent back pain, and 80% of our population will experience chronic back pain in their lifetime. Whether your back pain was caused by poor work environment or some other condition, your poor workstation ergonomics can further the injury and prevent you from healing. The problem of lost productivity due to musculoskeletal pain is not small. The Institute of Medicine estimates the cost of lost productivity due to pain to be between $297 billion and $335 billion in 2010 dollars. Workplace ergonomics play a role in preventing and minimizing the impact of pain. Still don’t believe me? Let’s try an analogy. 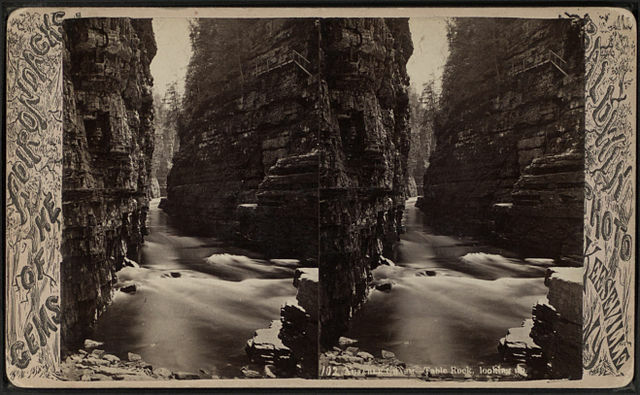 In upstate New York, they have beautiful gorges, where natural processes have carved elaborate chasms through sandstone. Over thousands of years, the daily wear and tear on the gorges from running water created, something (forgive the pun) gorgeous. But the daily wear and tear our bodies go through — the poor posture, the overtired muscles, the repetitive movements — can also lead to erosion of a sort. And it’s not anywhere near as beautiful as those gorges. Through misuse and overuse, we can wear out our necks and backs, leading to chronic pain. As managers, we often neglect the connection between work station ergonomics and productivity. It actually took me getting carpal tunnel syndrome to take a step back and change the behaviors that were hurting me and my employees. We have seen a direct correlation between poor ergonomics and lost productivity through increased breaks during the day and time-off for doctor’s appointments. The bottom line is if your workstations aren’t set up to be friendly to you and your team you will hurt yourself and the organization. So what can you do to improve workstation ergonomics? Take a break from sitting in front of the computer every 45 minutes.You can stretch or walk or grab some water. It doesn’t matter as long as you get up from your chair. Your pelvis is in a neutral position and not tilted up or down. This will support posture and prevent back pain. Keep your shoulders back and your muscles relaxed ñ that means don’t pinch your shoulders or you will end up with neck and shoulder pain. Your feet should be flat on the ground. If they aren’t, get a foot rest. This will prevent pressure on your hamstrings which can result in hip and spine misalignment. The height of the seat should place the knees level with, or slightly higher than, the hips. Your keyboard should be even with or lower than your elbows. If it’s not, you need a keyboard tray. Otherwise you’ll be at risk for carpal tunnel. Your monitor should be eye level. Looking up or down can cause neck pain. Bad ergonomics negatively affects worker productivity and can sideline you and your employees. The daily grind can cause or exasperate degenerative joint conditions, especially pain associated with your low back, neck, wrists, and hands. Making small, low-cost changes will have a positive impact on your work and your health. Researching more about ergonomics could be just what you need to increase the productivity of your office.